Cultural institution with international activity. BIBIANA is a cultural institution with international activity. 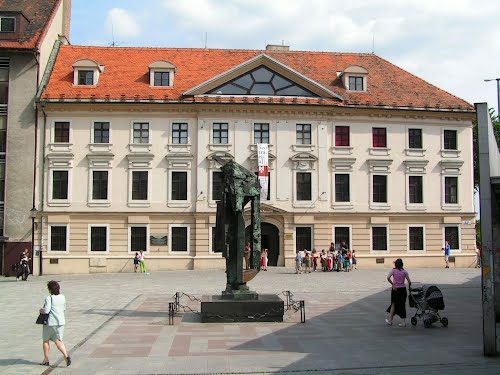 It was founded in 1987 as a partner of a world-known event with a long tradition “Biennial of Illustration Bratislava.” From the beginning it was professionally specialized as a gallery institution supporting a development of illustration works for children and improving quality of literature for children in Slovakia and abroad. Gradually, with the help of new people and new ideas, the philosophy of BIBIANA began to change, possibilities of development and spreading art for children became wider, creating a rich spectrum of genres. There was also found a place for comparison of Slovak works and their theoretical reflection in international contexts.